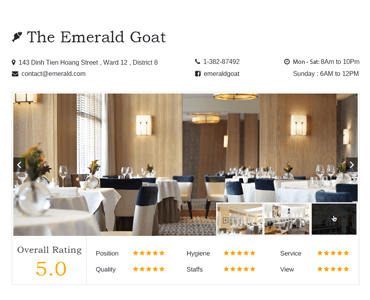 DiningEngine is the most powerful & highly customizable restaurant, cafe & bistro WordPress listing directory theme in the frontend! Thank you very much!! I'm so happy to know your support team. I have never ever seen a supportive team like you guys! :) I introduced your site to many people around me. 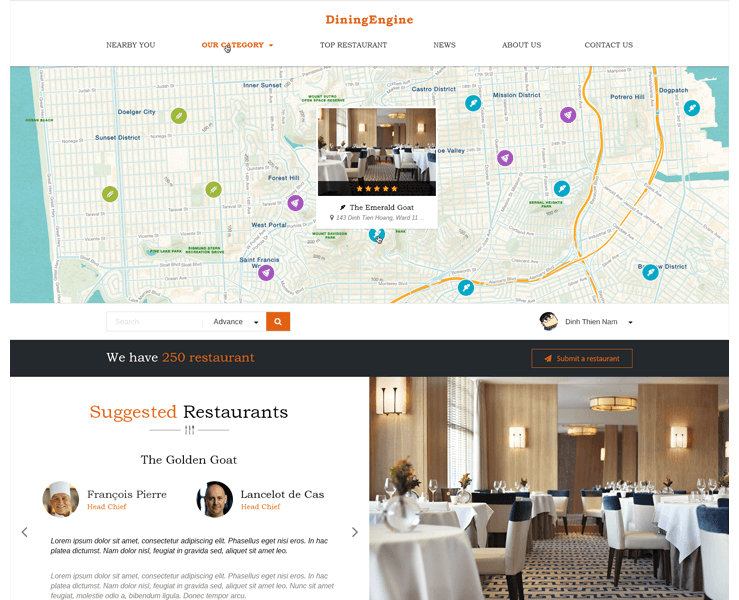 How Dining Theme of EngineThemes works for your site! 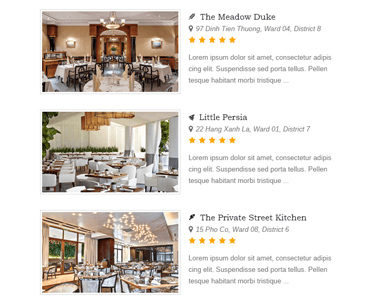 An advanced search bar with different criterions is provided: Insert a keyword and choose the recommended one to explore more places. 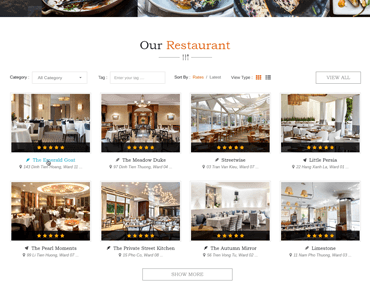 Explore places without page reloads: No more page reloads needed and save your users tons of time surfing your dining restaurant website. 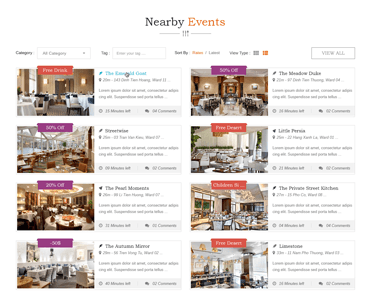 Nearby events: Easily obtain the information regarding the dining restaurant events in the local. You can quickly find a suitable one based on your need. Displayed photo: Attract your viewers. 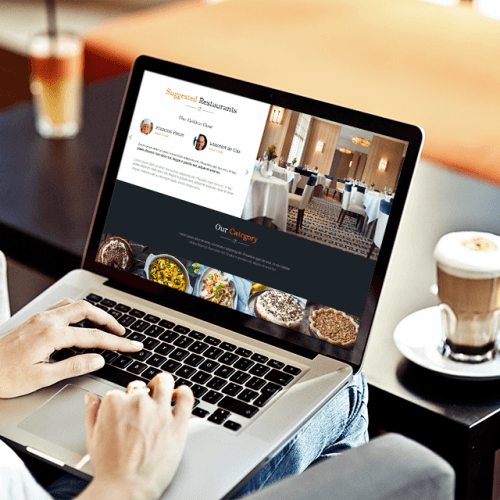 Various product images will be displayed representing the restaurant and capture users’ attention in seconds. 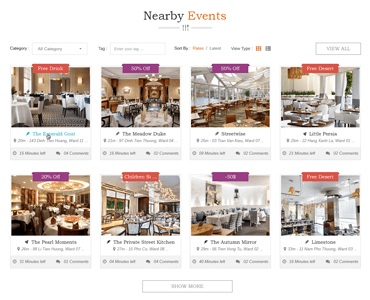 Add events for the dining restaurant: Using the event feature to mark the important occasion of the posted restaurant. 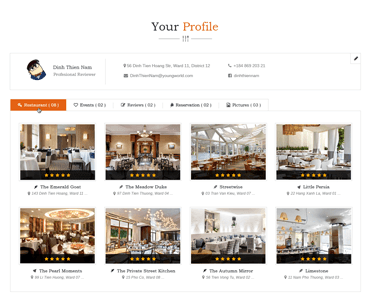 Profile details: The user profiles provide much more details including the posted restaurants, the actions on site as well as the received reviews. 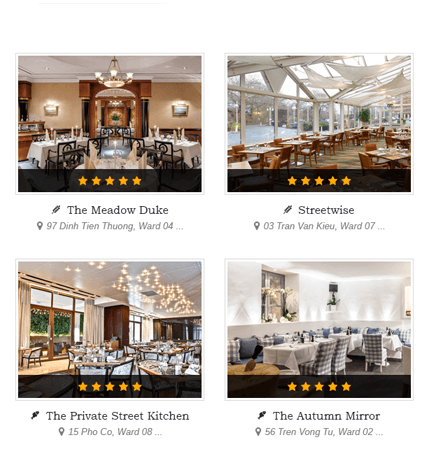 4 continuous & clear steps for an easier restaurant posting flow: Log in to your account, click “submit a restaurant” and let the flow lead you to successfully posting. 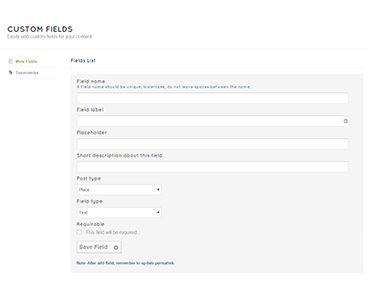 Add more custom fields using AE CustomFields extension: Create more fields to your posting forms and get as many information as you need. 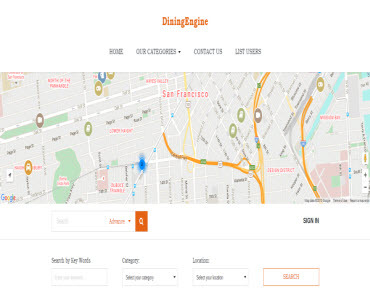 View all details: place descriptions, the owner’s information... Click on a place then users will be redirected to its detailed page including all the main information. 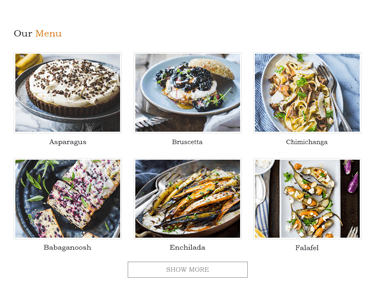 Restaurant menu: Restaurant’s owner can show off all the best recipes of their place to attract customers. 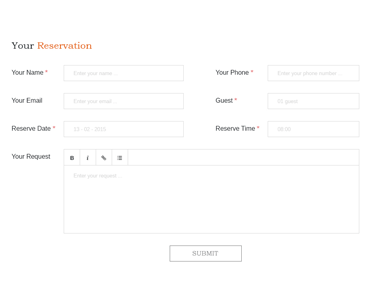 Making reservation: With online booking form, users can easily make a reservation for their meeting. Just insert all the information and it’s done. 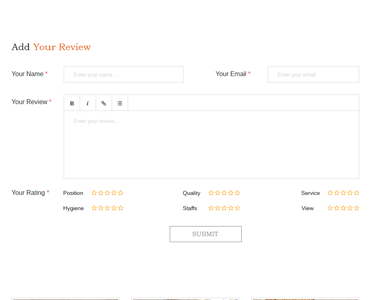 Review a dining restaurant: Give a positive or negative feedback with detailed comments. 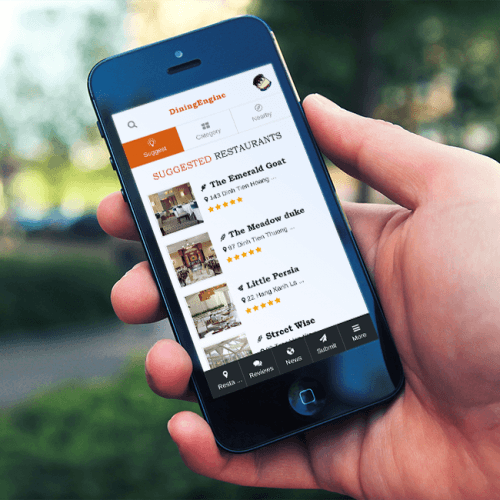 Users have the rights to give comments and ratings for any restaurant. 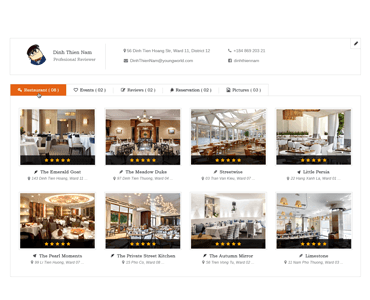 Contact place owners: Users can directly contact the place owner using private message system. Then they can continue the discussion in more details. 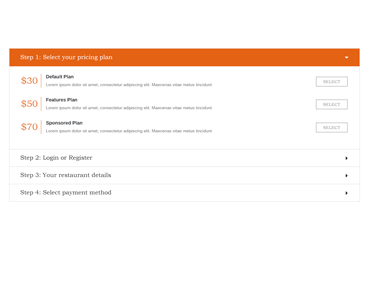 Different payment plans: Charge for listings based on different rates of single or premium plans. 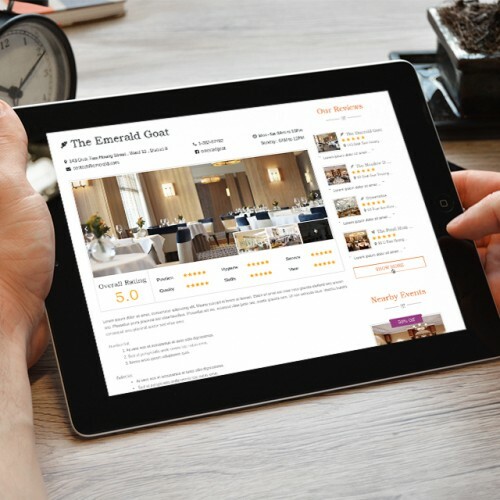 Featuring listings get more monetary reward. 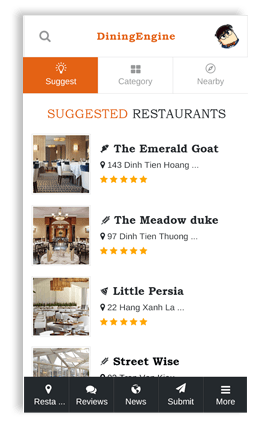 Offered ad spaces: Using the widget and sidebar system to display advertisements, especially the custom ones. Different positions are provided. 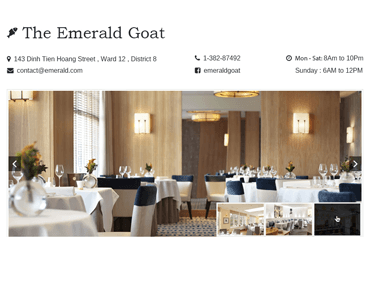 highly customizable restaurant, cafe & bistro WordPress theme in the frontend! 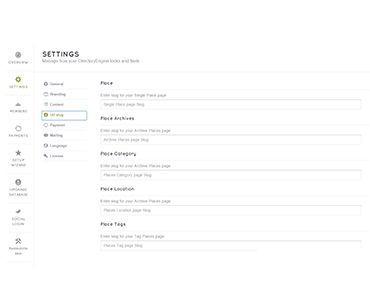 Simply drag and drop the content blocks to the right position and configure them to your preferences. Immediately in the front-end! 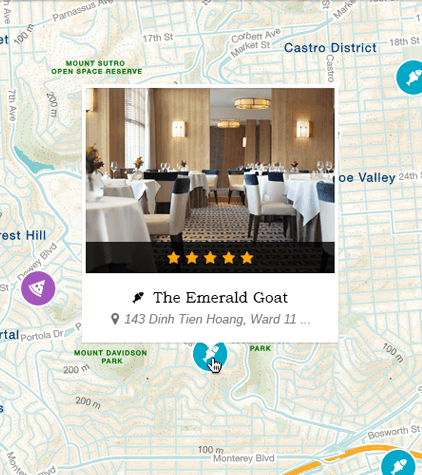 Draw a tailored map for each place on your site. 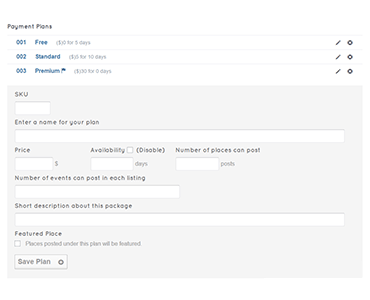 Also, users can visit and claim their listings. 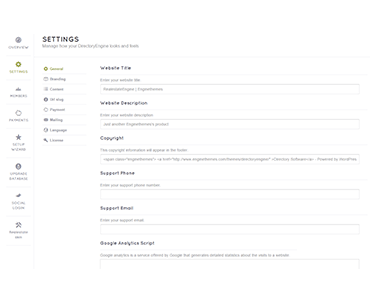 Easily manage and customize all the general information of your website in your admin panel including website’s title, description, social links… and much more. Emphasize your trademark with your own logo. Don’t forget to upload logo for the mobile version as well. 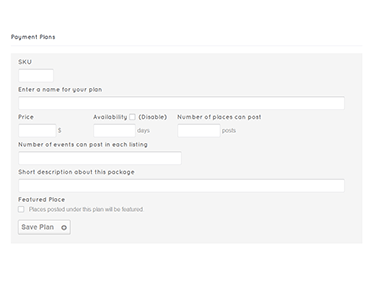 Free/Normal/Featured plans: Offer different payment package plans for your users to post properties. Your creativity is the only limitation. 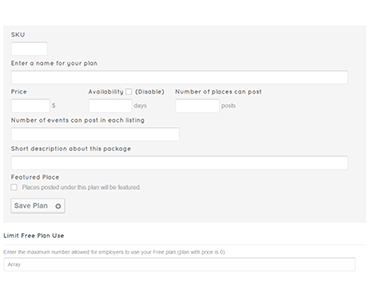 Limited free plans: You can create free plans to get more traffic to your site yet set the limitation so that it won’t affect your income. 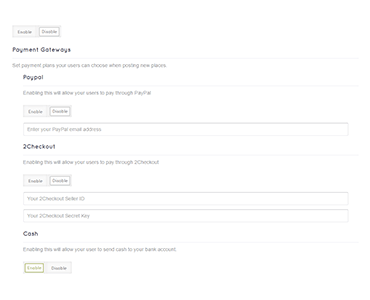 Integrate popular gateways such as PayPal, 2Checkout into your real estate site, plus manual payment. 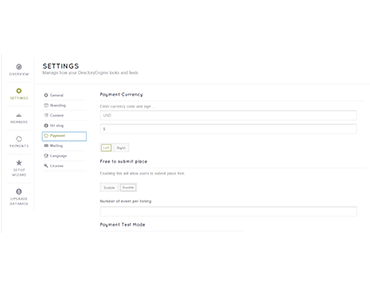 Select the currency you will use in your financial transactions No matter where you’re from, you can easily set up a new currency based on your preference. Want more? Check out the Stripe extension. 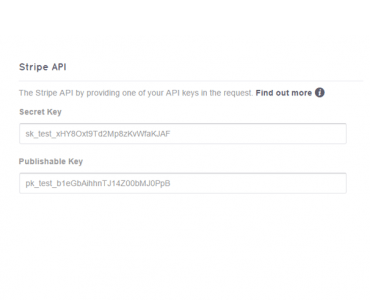 Offer more options for your users to make their purchase using Stripe extension. 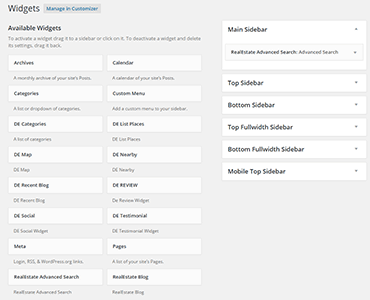 Multiple widgets are ready for you to explore the customizability of the theme. 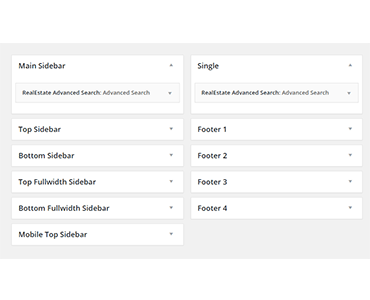 Simply drag and drop the widgets to the suitable sidebars to enhance your site’s performance and appearance. 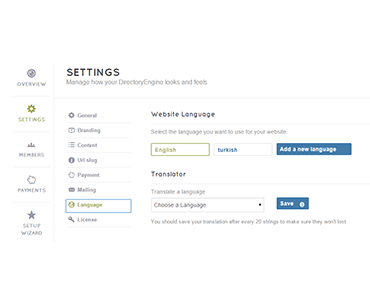 A built-in translator is included in the theme for translating text right in your dashboard. With built-in translator supported, you can quickly translate and change text without any hassle. 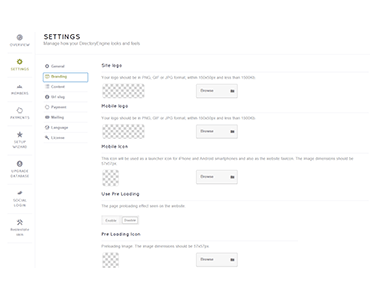 Advanced Settings to modify WordPress slugs: You can visit the back-end and quickly change the slugs without writing a single line of code. 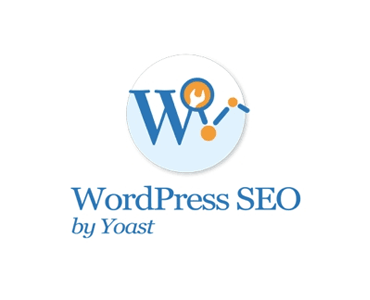 Compatible with SEO Plugins like Yoast WordPress SEO: Boost up your SEO for your dining website with other third-party plugins. Get more traffic and expand your pocket. 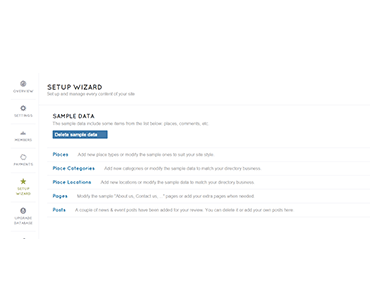 Setup wizard: Install your dining website in just 5 minutes, activate the setup wizard and let it guide you steps by steps. 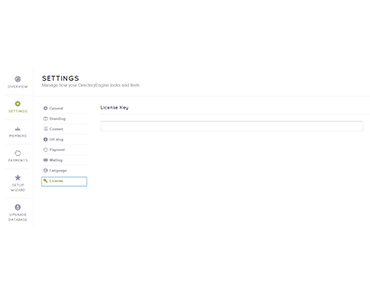 Enter license key to update right from your dashboard: Insert your license key to the update section and you’ll get notification whenever there’s a new update. 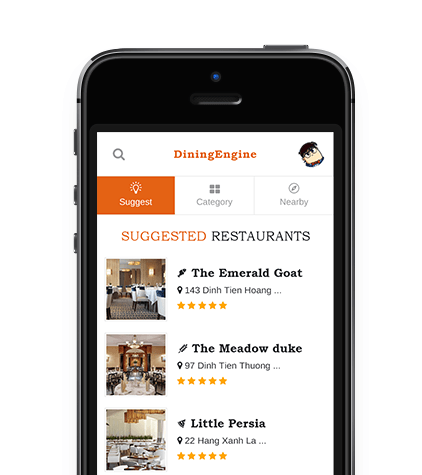 Already own DiningEngine? Check out extension upgrades here!